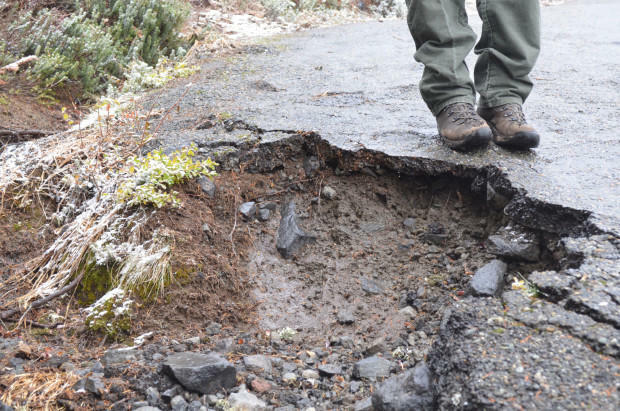 Mount Rainier's Alta Vista trail is filled with potholes. 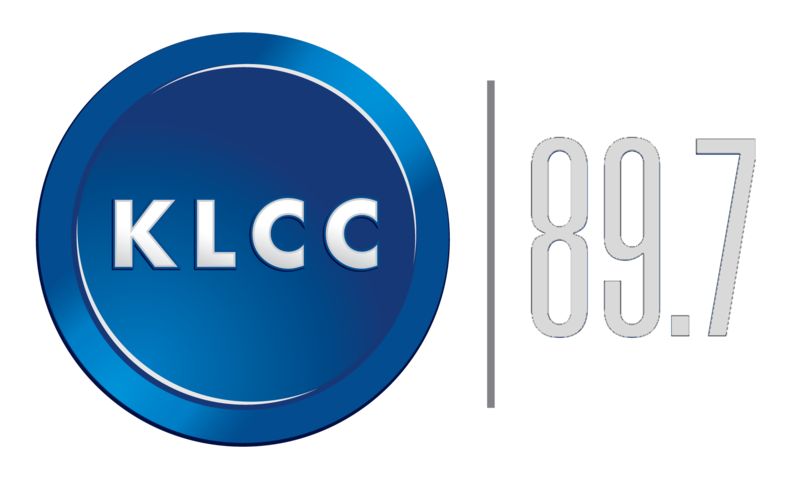 Lylianna Allala is a member of Professional Environmentalists of Color and a longtime environmental activist. 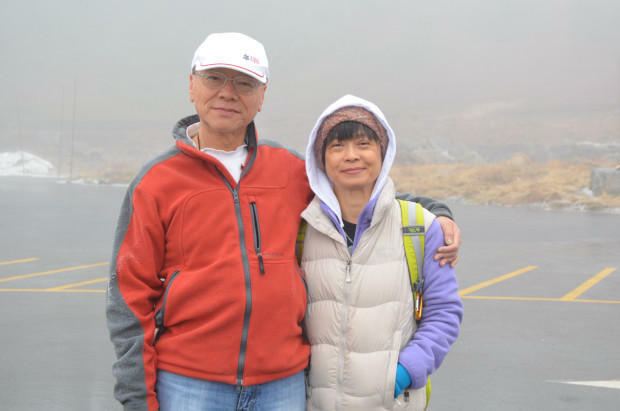 Yu-tai Chia came to Mount Rainier National Park to bring his wife, Li-jen Tseng, who had never been. Randy King is the superintendent of Mt. Rainier National Park. Jim Ziolkowski, known to his coworkers as Jimmy Z, is in charge of all the road and trail maintenance at Mount Rainier National Park. It’s a windy, snowy day in early November, and my boots keep slipping on the asphalt-paved Alta Vista trail that leads up away from the visitor center at Mount Rainier’s Paradise. In the summer, this trail winds through wildflower meadows — but, even so, it’s the least used of any of the trails that start at Paradise. Jim Ziolkowski, my reluctant guide to Alta Vista, says that’s because it’s in such bad repair. "It's hard to walk somebody else through it and say, 'Yeah, I'm responsible for taking care of this,'" Ziolkowski says. "It's like your home if you have a visitor come and you want it to look nice." 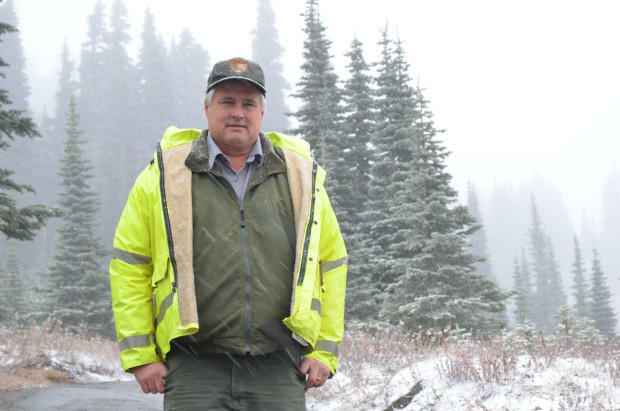 Ziolkowski is responsible for maintaining all the trails and roads at Mount Rainier National Park. But he doesn’t have enough funding to keep up. And, every year, the maintenance backlog at Mount Rainier — and across the national parks — gets a little bigger. The Interior Department has proposed paying for these needed repairs by increasing the entry fees at 17 popular national parks, including Mount Rainier and Olympic in Washington. But critics say the plan won’t work and could have unintended consequences. Today, Ziolkowski's showing me cracks running down the asphalt of the Alta Vista trail and places where whole chunks of trail are missing. The asphalt has oozed around a line of short metal posts that were supposed to keep the trail in place, so they now stick a few inches out of the trail itself, giving hikers something to trip over if they’re not paying attention. "The sad part is there are some things that just go farther and farther into disrepair," Ziolkoski says: "some back-country cabins, some trails, gravel roads that we sure would like to give a whole lot more attention to." Mount Rainier National Park has about $150 million of needed repairs on roads, trails, campgrounds, and buildings. Across all the national parks, the maintenance backlog is $11 billion. To pay for the backlog, the Interior Department might start charging $70, instead of $25, to drive into the parks and $30, instead of $10, for pedestrians and cyclists. That would bring in an additional $70 million a year. That’s not enough to cover the Trump administration’s proposed cut of $200 million from the National Park Service budget. And, at $70 million a year, it would take 160 years to raise enough money to take care of the repairs that are already needed. That’s not counting the new work that piles up every year. 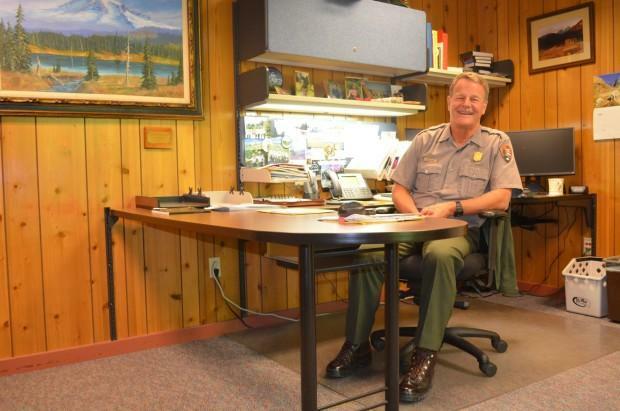 Randy King, the superintendent of Mount Rainier National Park, stops short of endorsing the plan. But he does have thoughts on what needs to be done. "It's really up to Congress," he says. "I think the scope of the problem is such that it requires a holistic approach." There’s a bill before Congress right now that would use some extra funds from mineral deposits to pay for restoration and repair work. On this day, it's hard to find a visitor to Mount Rainier who likes the proposed fee increases. "That’s outrageous," Yu-tai Chia says when asked about the proposal. He’s a U.S. citizen who currently lives in Taiwan. "The natural is supposed to be a treasure to all the citizens regardless rich or poor. For some people, $70 is a lot of money." Another hiker, Kate Garland, from Portland, says: "Although I would be willing to do my part to pay an increased fee so that we could all enjoy the parks, I don’t want that to prevent some people from being able to enjoy it, too. Like, the whole point of the parks was to preserve areas for everybody." She and her partner, Adam Haner, say the proposed increase would make it too expensive for them to go for a day hike. "If I just came up here for a random hike and they said, '$75,' I’d probably turn around," Haner says. Some critics worry the increase could make national parks out of reach for a lot of people. Visitors to national parks are already whiter and wealthier than the U.S. population as a whole. Only 22 percent of national park visitors are people of color, compared to 37 percent of the U.S. population. Lylianna Allala is a member of Environmental Professionals of Color and a longtime environmental activist. 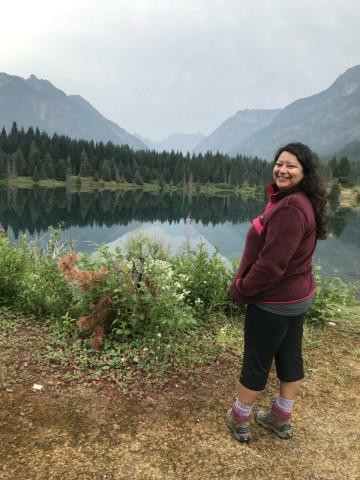 She says people of color do spend a lot of time outside: it’s just that there are a lot of barriers keeping people of color — and particularly low-income people of color — out of national parks. She lists off some reasons: "Transportation’s a huge one. If you don’t have a car, it’s a challenge to get to some of these spaces. If you’re working one or two jobs and then you have children, it can be really challenging to try to prioritize a whole day to go out and do something at Mount Rainier or Olympic." And then there’s money: the cost of gas, food, and entrance fees. There haven’t been studies of how an increase like this would affect who uses national parks, but Allala says it certainly makes them feel like less inviting places for people like her. She remembers an Instagram campaign from the National Park Service centennial two years ago. She says the message she heard then was "These parks are for everyone. It’s for you." Now, she says, "I’m worried that the increase in entry fees is a few steps back from that work. And, to me, it sends a clear message: 'These parks aren’t for you.'" King, Rainier's park superintendent, says that would be the wrong message to send. "It's never been market-based in the sense of how much could you charge for this experience and I hope we don't go there," he says. "These are places that belong to all Americans, and the people who come to the park ultimately need to reflect the people who live in our country you know and you want everyone to feel welcome." The public comment period ends November 23. If approved, the fees would take effect next June at Mount Rainier and next May in Olympic National Park, Yellowstone, and Yosemite.